Keeping your written memories secured online is now possible with online diary software. Most people nowadays find diary notebooks inconvenient for everyday use so diary programs have been made to make this easy. Opting for online diary software is great if you want to access your entries anytime and anywhere you want even across different devices. You just need to find one that will truly secure your private entries through impressive privacy settings. It’s My Diary is now on Beta version only but it already offers promising features you will need in keeping an online diary. The privacy protection is great and the general user interface is packed with creative backgrounds and formatting tools. More developments are expected with this free online diary software in the future. Pros: Great privacy protection, colorful backgrounds. Cons: Lacks formatting tools, needs more feature development. 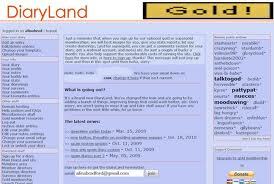 DiaryLand has been around the web since 1999. It provides simple solutions on how you can keep an online diary in either public or private setting. You can choose to host your diary in a public setting to let other readers browse your entries. Pros: Allows public diary entries, simple UI. Cons: Website looks outdated, limited editing and designing tools. 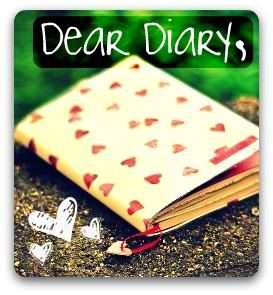 DearDiary is one of the earliest online diary programs available for free. It has this WordPress-like user interface that looks like a personal blogging platform. Making new entries is easy and with an amazing twelve year record online, you will be assured that your entries are secured and private. Pros: WordPress-like UI, simple to use. Cons: Limited editing tools for diary entries, does not support inclusion of pictures. 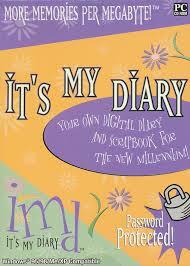 MyDiary provides a simple and straightforward way of keeping online diary entries. The user interface is easy to use and making new diary entries is just few clicks away. It also has a partner mobile application for Android so you can still use this online diary with your mobile device anywhere and anytime you want. Pros: Comes with free Android app, simple UI. Cons: Poor visual design of UI. 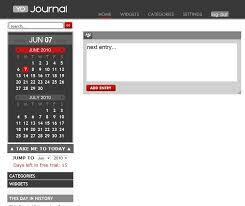 YoJournal has been famous for its clean and simple layout for diary entries. It has few features which may be convenient for those seeking for minimalist approach to diary keeping. More features can be unlocked by opting for the Pro version but it is free to try the software online. Pros: Minimalist UI, supports inclusion of photos to each entry. Cons: Does not support text editing tools. 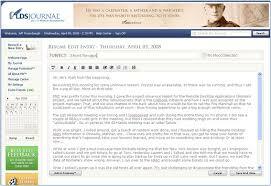 LDS Journal is a great online diary program for those seeking personal enlightenment. You can reflect with your own entries every day and the software even offers the “All About Me” page where you will need to answer questions about your life. It is centered to self-development and great to use for those who are confused with their personal goals in life. Pros: Superb privacy security and backup, layout made for personal development, simple UI. Cons: With included ads, more storage space available for Gold accounts. Daileez is an icon-based online diary program. 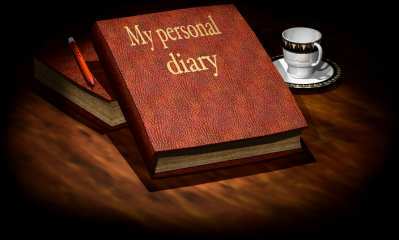 It is fun to use and you can choose to have a public or a private diary. You can even share your entries with friends through Facebook and Twitter. This diary platform is best if you are more on visual expressions but not into words. Pros: Icon-based diary entries, allows sharing of entries through Facebook and Twitter, with partner iPhone app. Cons: Not recommended for those seeking for detailed diary entries. Diary.com is a creative online diary platform. You can sign up for free and you can also browse hundreds of public diary pages from different individuals. When creating your own diary account, you can choose to make it private or public. You can also add pictures to each entry and allow other users to comment on your diary entries. Pros: Minimalist and creative UI, easy to read font, impressive diary layout. Cons: Limited text editing tools. 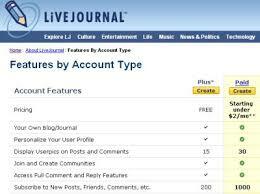 LiveJournal offers an interactive way of hosting online diaries. You can fully customize your entries along with inclusion of photos and links. This online diary software is great if you want to make your diary entries public as it has a big community of users that shares entries every day. You can also choose to share your entries with just your friends and make it completely private to yourself. 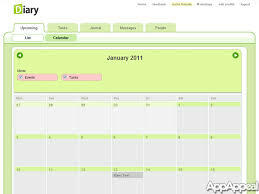 Pros: With massive online community, supports inclusion of photos and links, allows customization of your own diary page. Cons: Does not support encryption and SSL security, does not allow exporting of entries. 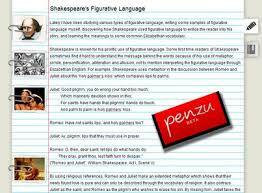 Penzu provides the impressive write-in-paper experience online. It has been famous for its realistic online rendition of paper diaries that you can use across different platforms. The software also offers partner mobile apps for iOs and Android so it will be really handy to make new diary entries anywhere and anytime you want. Pros: Creative UI, supports inclusion of images in each diary entry, with auto-save feature. Cons: Partner mobile apps available for Pro version only. Choose from the above listed online diary software and start creating entries out of the memorable moments in your life! It is easy to choose the right online diary platform for your preference if you know the features you will need for your diary entries. Opting for premium ones is not always necessary especially if free programs are easy to find just like the ones listed above.